Rain water is naturally ‘soft’ but when it flows underground it picks up the minerals calcium and magnesium. These minerals cause ‘hard’ water. The Professional Sunuser Twin Water Softener uses ‘ion exchange resin’ to remove the ‘hardness’ from water. Hard water enters the resin bed. The ‘hardness’ minerals are trapped in the resin. Softened water is supplied to the property. Salt periodically flushes the hardness minerals down the drain. An average home in a very hard water area will use approximately 1 block of salt per person per month – 1 block of salt usually costs less than £3 including VAT & delivery. 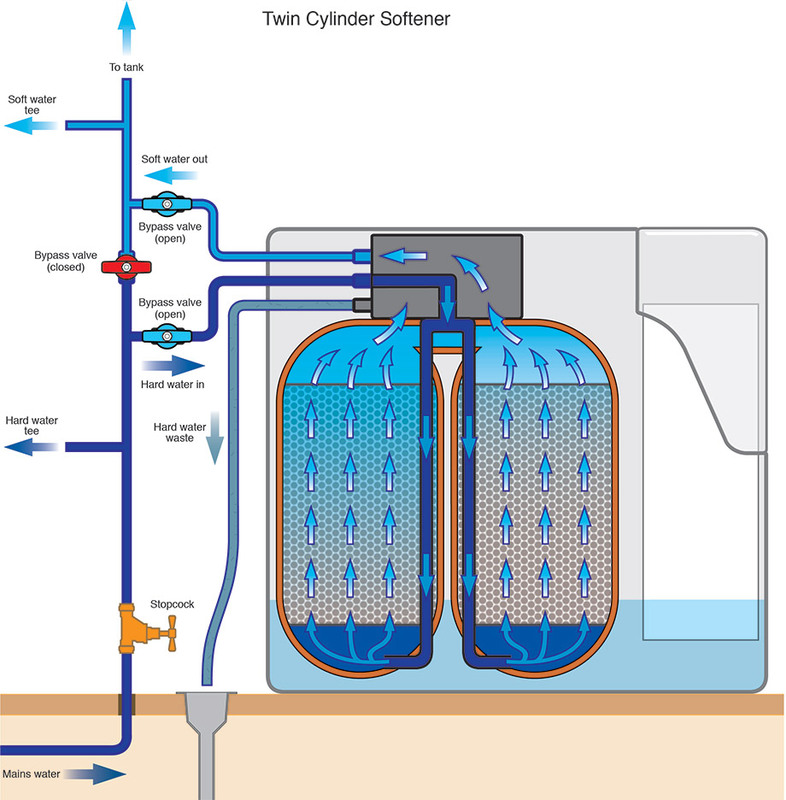 Every Sunuser Twin Water Softener is manufactured using the highest quality materials to deliver optimum softness and maximum savings.